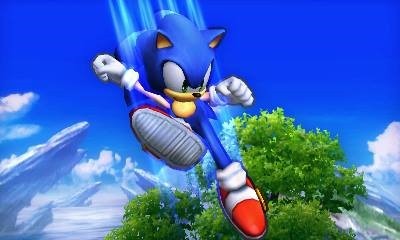 While Penny Arcade Expo allowed the general public to play Sonic Boom, Hatsune Miku Project Diva F 2nd and Alien Isolation, along with Bayonetta 2 showcased by Nintendo, very little was new to those looking for new information, which included the updated Sonic Boom demo which unfortunately did not make it to the event. This left very little for new SEGA news for fans to pick apart. 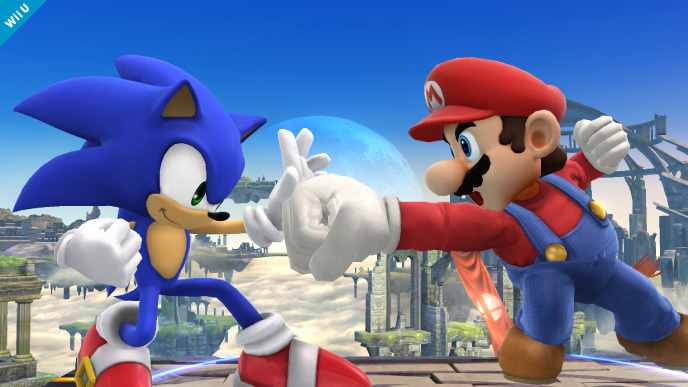 That is until you factor in Sonic’s involvement in the upcoming release of Super Smash Bros. for Wii U and 3DS. Nintendo was showing off both versions for the general public to play at PAX. With the new installment coming out, there are a few changes that are in place that people can expect to enhance the gameplay, but for what was shown off so far is guaranteed more Smash Bros. to go around. Controls are pretty similar across both versions, with A button used for general attacks, B for specials and the shoulder buttons used for shields and a hot key for grabbing. The overall pace of the game is comparable to Super Smash Bros. Brawl with tripping completely out of the question. There is still an element of randomness to expect with the array of items, assist trophies and Pokemon that can be unleashed to make things chaotic. Characters have also seen a substantial upgrade to their movesets as well as their power. 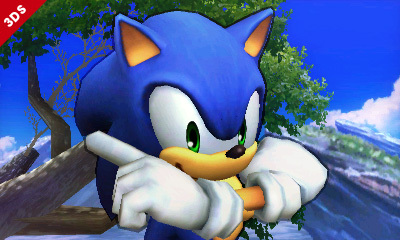 Speaking in terms of Sonic, he is still fairly difficult to control, but he has seen some additional tweaks including bigger range on some of his attacks. 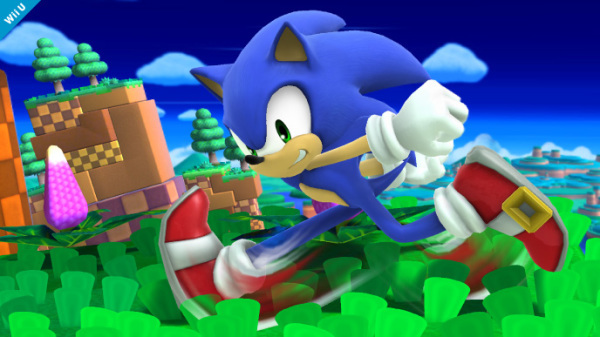 His character is designed to follow up on other players since Sonic is fairly weak, you can still pull off mind games by sending opponents to the edge of the screen by performing a back kick while in the air, then recovering by using the Up + B spring jump or Right + B to spin jump to recover back onto the stage after landing a knuck out, or using the homing attack by pressing B to initiate it, then B to execute to land a homing attack which can interrupt an opponent’s jump, or performing combos that leave players in the air only to send them flying by using Up + B to perform a scissors air kick to score a KO. Attacks are now highlighted to show off their range, which is especially useful on a 3DS screen as it also helps showing each character’s position and range when the camera is zoomed out very far. On a 3DS screen, characters can appear very small, even on a 3DS XL screen, characters were one fourth the size of my thumb, which still made characters hard to see, as the game does not offer alternate camera options when playing in regular matches. It didn’t make the game impossible, but the visual effects try what they can to make the gameplay clear to everyone playing despite all players seeing the same action at the same distance. The Wii U version was demoed using GameCube controllers. Nintendo reps were still unable to confirm if the GameCube controller adapter for Wii U was compatible with other games or Wii titles, which is a real shame for Wii U owners who transferred their original Wii content to their system. (So if you traded in your Wii and want to play Sonic Colors with a GameCube controller, you may be out of luck.) 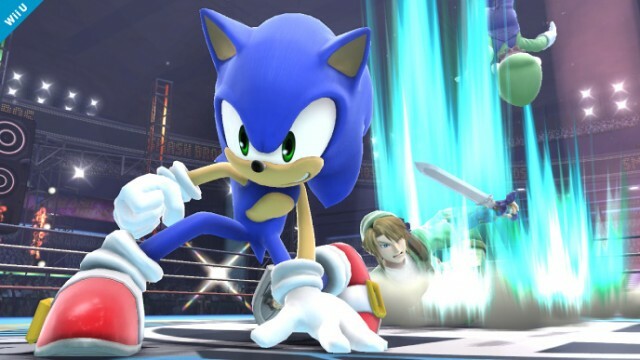 Regardless, the game played as you would expect Smash Bros. could. 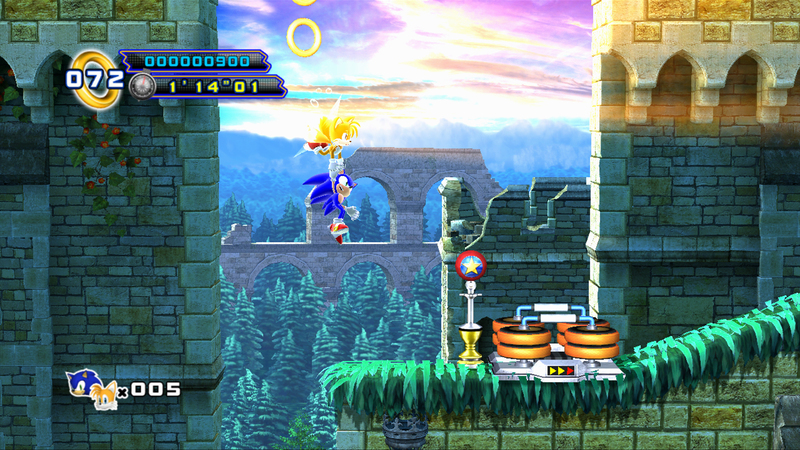 A handful of stages were shown off, including a stage inspired by the Mega Man series that saw the Wily Tower in the background, floating platforms following a random path with the action being interrupted by the Yellow Devil on occasion. There weren’t any stages with any outstanding obstacles that got in the way to the point that it interrupted the fight. Though chances of those appearing in the final version is pretty high. Gameplay here is what you would expect a Smash Bros. game to play like, although checking out features such as remapping controls, stock rules, disabling items or playing a varying Final Destination stage was not available for show. The Nintendo 3DS version is probably the most interesting as this is not only the series’ first appearance on handhelds, but translating that experience and looking for a one to one experience is a real challenge. For me, my difficulty came with the Circle Pad for moving my character. Some of my tactics involve me getting characters to turn around to perform back attacks. So say for like Sonic, I need to turn around then pull back and attack in the air to perform a back kick as pulling forward and attacking causes Sonic to perform a spin that causes damage, but isn’t very good for “launching” characters. Trying to jump backwards was an issue for me since the Circle Pad’s throw is much shorter than a GameCube control stick. There was also an issue of me mixing up my grab and block buttons, but that’s mostly due to me not being used to the difference in controls. The camera as mentioned earlier was also an issue on the XL system, but not entirely a deal breaker. However due to that size, owners of the original Nintendo 3DS may find following the action to be impossible as the screen size is much smaller. But for solo players, you may be interested in the Smash Run mode where you are in a gigantic level and you are tasked to power up your fighter in five minutes. 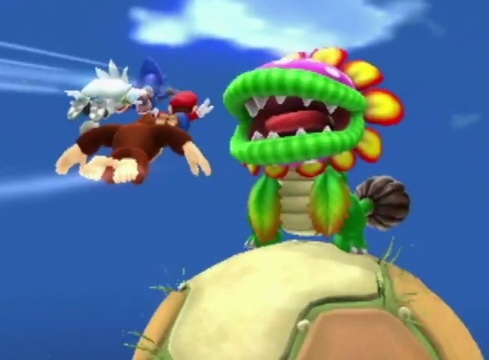 Along the way are several enemies, some of which from Brawl’s Sub-Space Emissary mode and several others from other franchises showcased in the game. Defeating them gives your character power ups that can be used to give higher speed, better strength, flinch less and other stats. There are also some mini games that can occur while exploring, which will throw up a load screen to bring you to the mini game while the overall Smash Run clock continuing to count down. Finally once time runs out you’re pitted against the other fighters who were also exploring the Smash Run level in a timed match. While the mode was designed for multiplayer in mind, you were unable to play against other players in their demo setup. Exploring the level requires some significant leaps of faith, which could be troublesome for certain characters with shorter jump ranges. It still seems like a mode that’ll be a lot of fun to play with friends who are looking for a party game to play. There is of course the standard Smash Bros. gameplay, but with a different level set dedicated to handheld Nintendo games. 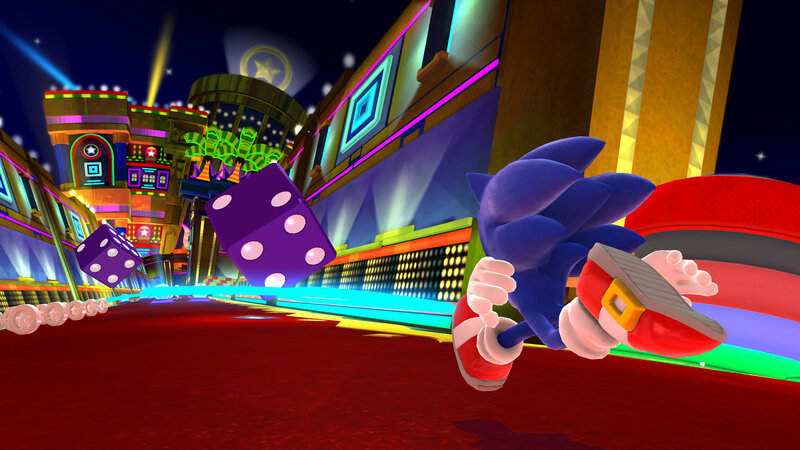 Some of the level platforms and obstacles seemed more chaotic compared to what was shown for the Wii U version. Namely the Nintendogs level with blocks that fall from the sky and can combo you into the air for a knock out if you don’t see it coming, which again, can become an issue due to the limited camera focus. If you’re up for more Smash Bros. you can expect to see more of the same on Wii U as well as on the go on the 3DS. The changes made can be seen as a nice alteration compared to Brawl, although if you’re a dedicated player for Super Smash Bros. Melee, the features and gameplay shown off may not deter you anytime soon. The other features including other Single Player modes, connectivity and Amiibo functionality were unfortunately still under wraps. There was even a display case showing off Amiibo figures, and Sonic was unfortunately not part of the series they were showcasing. The possibility of Sonic being featured in a future release was not made clear. 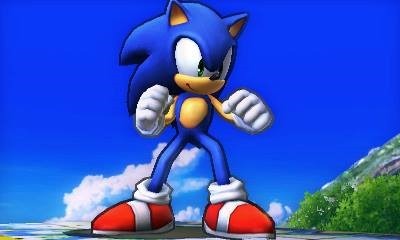 Obviously its a real treat for Nintendo fans, but people who are in it for Sonic will be pleasantly surprised as the representation for our favorite blue blur will let them reenact their interpretation of Console Wars or crossover with Mega Man, Pac-Man or the uh…Wii Fit Trainer as they see fit. Hatsune Miku isn’t released yet? Damn, I beat that game since February Japanese version, how long does it take to translate it and release it in the US? It’s not like they were gonna dub the songs or anything!